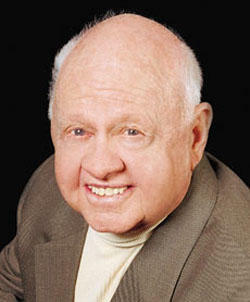 Mickey Rooney is taking his fight against elder abuse all the way to the U.S. Senate. In a recent Senate committee hearing on Wednesday, Rooney was visibly upset as he described how he was a victim of elder abuse from a family member. While the family member was not named during the Senate hearing, Rooney does already have a restraining order against his stepson, Chris Aber. Rooney has been fighting vehemently recently to bring attention to elder abuse in this country. In his restraining order court filing, Rooney states his stepson is verbally abusive and yells and screams at him. He also physically threatens, intimidates and bullies Rooney, effectively turning the 90 year old into a prisoner in his own home. Rooney is hoping to bring the subject of elder abuse into the national spotlight to help other victims who may be in the same situation. It can be difficult for anyone suffering from any type of abuse to receive help, but it can be especially difficult for elders to stop the abuse they receive from younger family members. By taking his fight all the way to the U.S. Senate, Rooney is certainly opening a lot of eyes about this once unknown form of abuse.